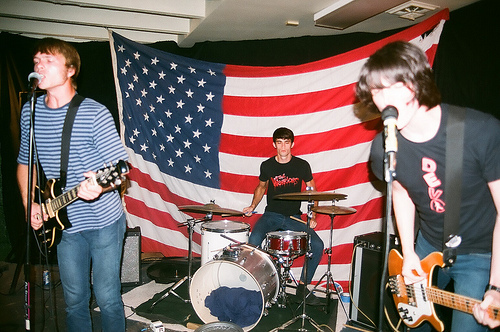 You know, around two years ago Glenn Danzig’s House popped up and started doing shows for out of town bands and the first one was for Bad Sports from Denton/Austin, Texas. Heavy Cream and The Cannomen and Natural Child played too. It was a sick show. Ever since then we’ve been trying to get the bad boys to come back to town to rock and roll some more because no one really does it like they do. Towards the tail-end of July we’ll see the guys roll back into Nashville to play at Danzig’s again and it’ll be the biggest party you’ve ever seen. What we might be most excited about for the show is that it’ll be the release show for their new single that we’re doing for them. Oh, did we not mention that yet? 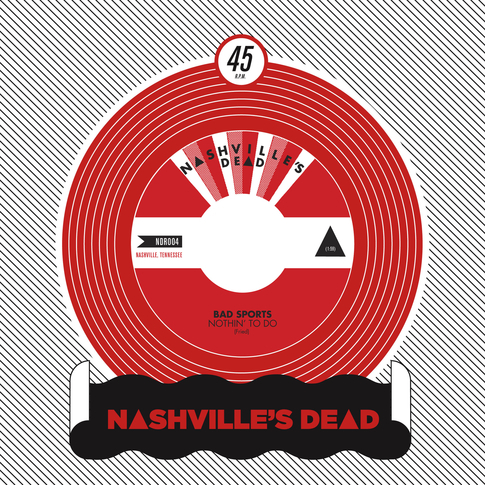 Well, yeah, the next single to come out of Nashville’s Dead is one for Bad Sports and it features two tracks — both total rippers. You can check out the A-side [“Nothin’ to Do”] below. There will be more news coming about this soon, but for now just get yourself ready for what’s sure to be the best show to go down this Summer and a single you’ll definitely wanna grab.